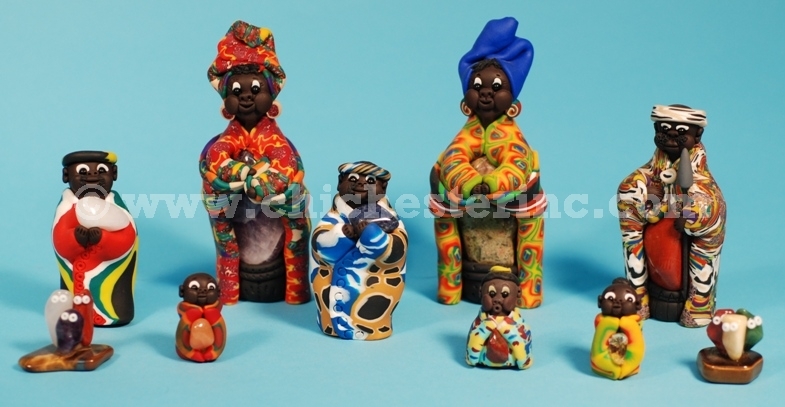 These are Fimo clay dolls sculpted by South African artists. Each doll is wrapped around a semiprecious stone. Some of these dolls may have some cracks in them.